Getting a UV water filter means that you have a filter that uses ultraviolet light to treat and purify your water. 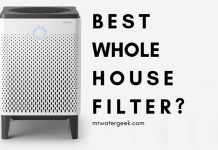 You can get a UV water filter in a stand alone version or add it on to your whole house softener so that it can help improve the taste and remove any bad smells. All home UV filters should be equipped with a pre-filter system. This is because a UV filter is not so good at dealing with large bits of dirt, sand, debris or particles. So using a pre-filter to remove any larger pieces of dirt will make the UV filter work more efficiently. 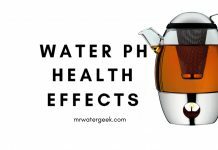 It is also important to note that UV water filters do not eliminate chemical contaminants. This also includes things like VOC’s (volatile organic compounds), heavy metals or suspended solids. 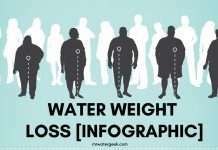 They can, however, disinfect relatively clean water and destroy harmful microorganisms. 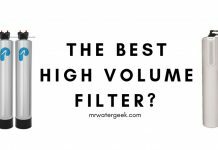 For a more complete filtration I recommend adding UV water filters to an existing whole house filter or softener. This article will review some of the best stand alone UV filters as well as those available as a whole house filter upgrade. 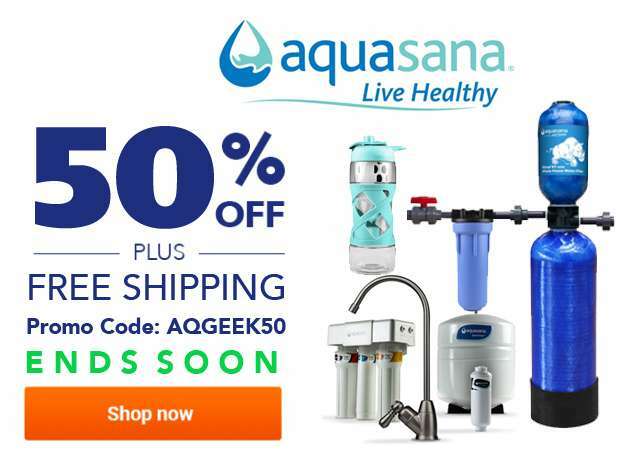 Get an extra 50% OFF Aquasana Filters with coupon code AQGEEK50. 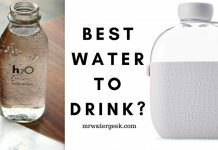 The Best Domestic UV Water Filter? Some UV filters for the entire house can be supplied with filter cartridges that can also attack other contaminants. For example, the Pentek UV 110-2 7.6 LPM water filter system is supplied with a filter block for carbon blocks. 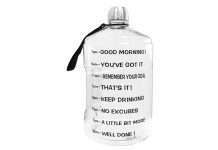 This reduces the bad taste and odor, chlorine, salt. 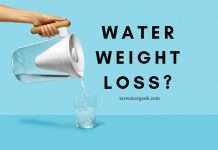 But also other substances like, cysts, cryptosporidium and giardia from your water. 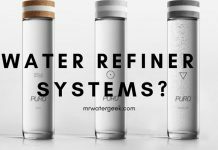 The system can produce 7.6 liters of purified water per UV per minute. Microorganisms (e.g., Cryptosporidium, Giardia, E-coli, Pseudomonas, etc). Chemical disinfectants and their derivatives. E.g. hormones, VOC’s volatile organic chemicals, organic, herbicides, toxins,and pesticides. Bad taste, bad odors etc. 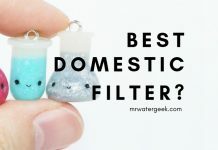 These types of UV filters are best as an add on to whole house water filter. They are also the most expensive. 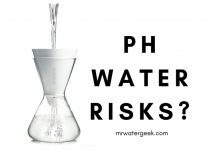 More and more people are deciding to invest in their own water treatment systems to address the growing potential risk of water pollution in private and community water sources. 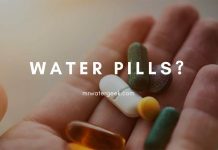 It is believed that giardia, cryptosporidium and e. coli are the major microbial problem that often occurs in private water sources that cause disease in humans. Most people are familiar with e.coli because it is often discussed in the media as a contaminant in food, but it is also a water polluter. 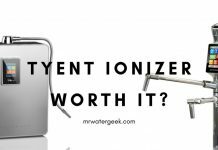 The UV water purification system is considered an effective device for these problems. Not only does it provide a better taste, it also provides additional health insurance for your family. The ultraviolet (UV) treatment process is an extremely fast physical process. Ultraviolet light mutates and / or degrades DNA. When DNA is damaged, the organism can not function because its “instructions” are distorted or missing. An organism without instructions can not work or multiply and can not cause infection. It is harmless and eventually dies. 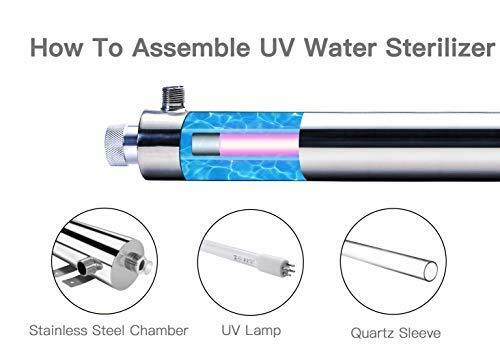 In UV disinfection, the water is purified while passing through a stainless steel chamber (also called a “reactor”) containing a special UV lamp. When the water passes through the lamp, the microbes in the water receives a lethal UV dose. 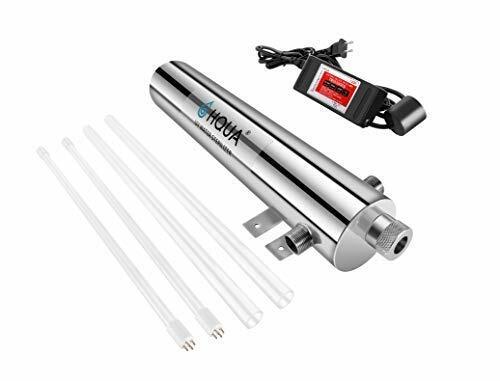 The HQUA UV water filter is a water treatment device that needs to be assembled but easy to set up. 12 GPM 55 watts 21 inches long and 3.5 inches in diameter. MNPT inlet / outlet: 3/4 “inch DN20. This is the latest design that is a smaller size. The result is an easier to install UV filter that you can integrate into your existing pipe system. There is no secondary pollution. No chemical connection to the water supply. 9000 hours life of the UV lamp. Efficient sterilization: disinfection of 99.99% of bacteria and viruses. Comes with a professional manual. Installation, maintenance and troubleshooting are easy to perform. HQUA-TWS UV water filter replacement bulbs are FREE – contact customer services. 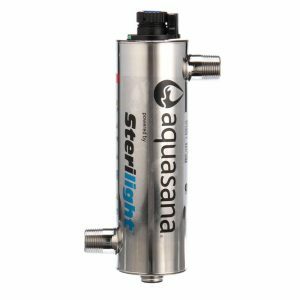 The Aquasna 10-year is a durable, powerful water filter for healthy, tasty water throughout your home, up to 1 million gallons or 10 years. This system allows you to upgrade to the UV Sterilight. Sterilight UV Filter provides comprehensive protection for your home to protect against bacteria and viruses. It is ideal for you if you are worried about bacteria and chlorine-resistant cysts. 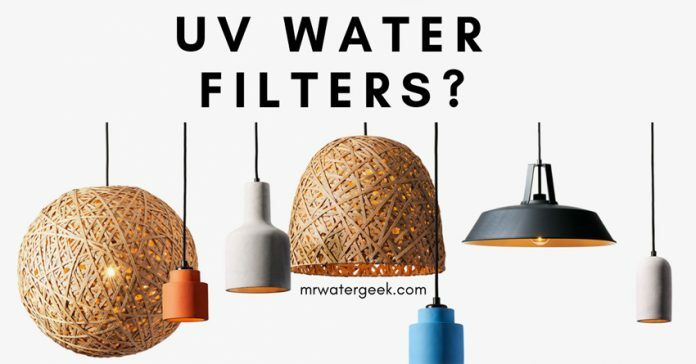 A UV filter upgrade to your whole house water filter is one of the best ways to protect yourself from bacteria and viruses that may be present in your water. The powerful UV filter kills 99.99% of viruses, bacteria like e.coli and cysts. 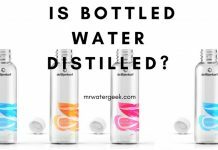 It also kills things that are resistant to chlorine, such as cryptosporidium and giardia. It comes with a pre-filter. This removes sediments, captures rust and salt. 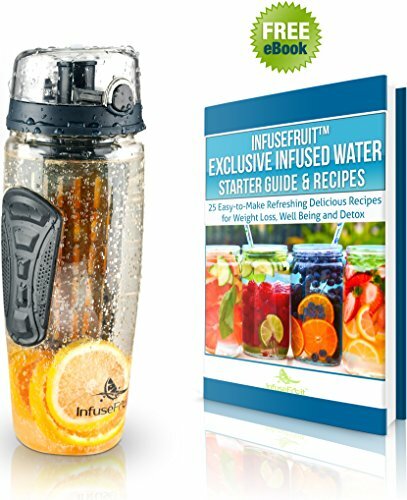 Provides you with water that is effectively “smooth” without the need to use salt. It does this by preventing “hard” minerals from sticking to your pipes and plumbing. 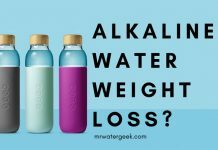 Reduces chlorine, water-soluble heavy metals and inhibits the growth of bacteria and algae in your water. Uses an extra layer of filtration via an activated carbon filter. 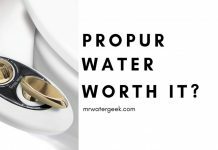 This reduces herbicides, pesticides and other chemical compounds from your water. There is also an extra sub-micron post-filter. This will remove any leftover sediment or remaining organic particles by up to 0.35 μm. The UV filter is an extra layer that will remove any thing that is left over from the extensive multi-stage filtration process. This will mainly be things like any left over bacteria and viruses that may be present in the water. Aquasana Sterilight UV water filter replacement bulb here. A stand alone basic UV filter can cost upwards of $250. 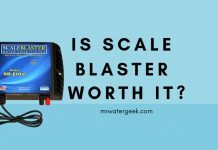 This does not includes professional installation and you may have to up a pre-filter to deal with large particles. A UV add on / upgrade to an existing whole house filters can cost between $1850 – $3500 (for the whole filter package). 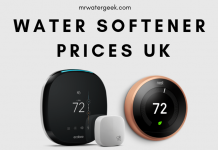 High performance water filters and those that can deal with larger capacities can cost double or even triple that amount. 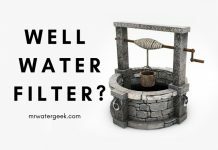 This is especially the case if they combine filters with carbon filters, ceramic filters or activated carbon granulate filters. 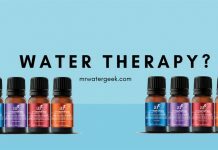 And they process the water in a multi-stage fashion like Aquasana 10-year Rhino or OptimH20. 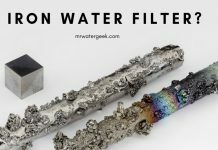 The bottom line is they are worth it because the process of these filters reduce an impressive number of contaminants. Here is a list of some of the common mistakes that people make when using UV filters. Understanding these problems will mean that you avoid them and that you can use your UV filters worry free. People always get tempted to buy the cheapest UV filters they can find. 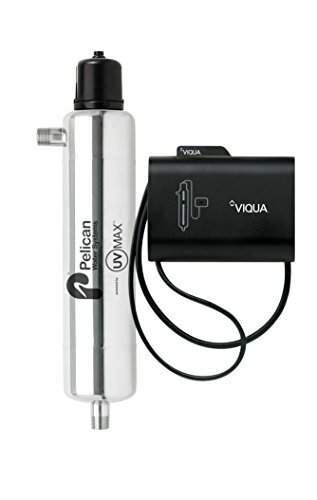 There are many cheap plastic / low quality material ultraviolet water systems that are usually Asian import models available online. Don’t be seduced by the low prices as they are very unreliable and sometimes extremely dangerous. 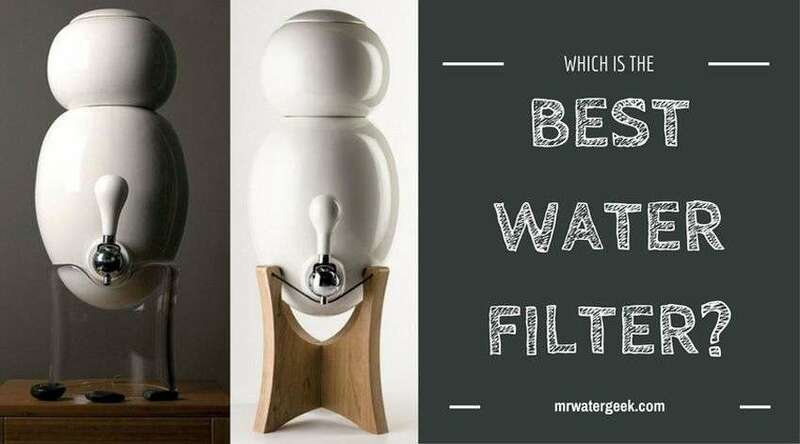 If you can not afford to get a quality UV filter then choose a cheaper water filter method like reverse osmosis or simply buy a water filter jug. Buying a stand-a-lone UV filter is not always a good idea unless you are only worried about low-medium amounts of bacteria. 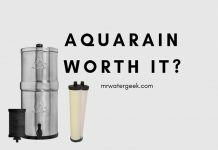 The best UV filters are part of a multi-stage water filter like the upgrade options for the Aquasana Rhino and OptimH20. 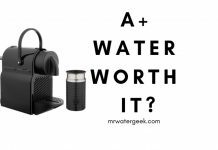 A UV filter on its own is unlikely to take care of all your water needs e.g. hard water issues, lead contamination or debris like sand and dirt. 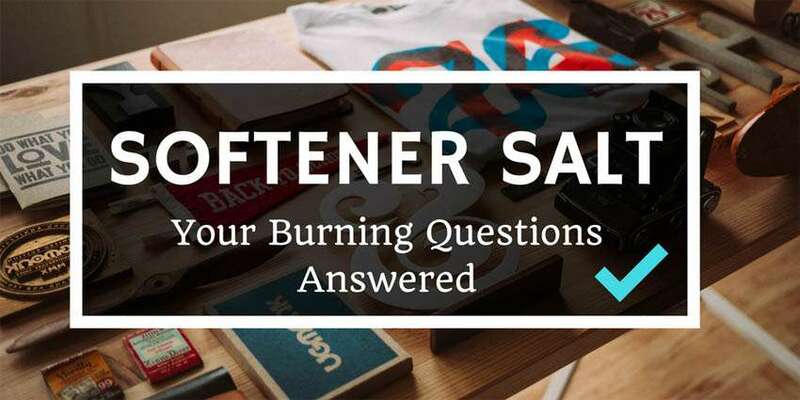 If you’re going to spend that type of money then you should really get something that will take care of everything like the OptimH2O. 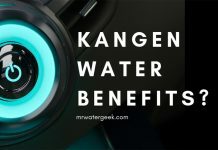 Ultraviolet (UV) water treatment systems are primarily for the treatment of private water supplies such as local water companies, water tanks, wells, or water sources that are susceptible to bacteria, viruses and other microorganisms. UV systems are also strongly recommended if you have problems with things like legionella. 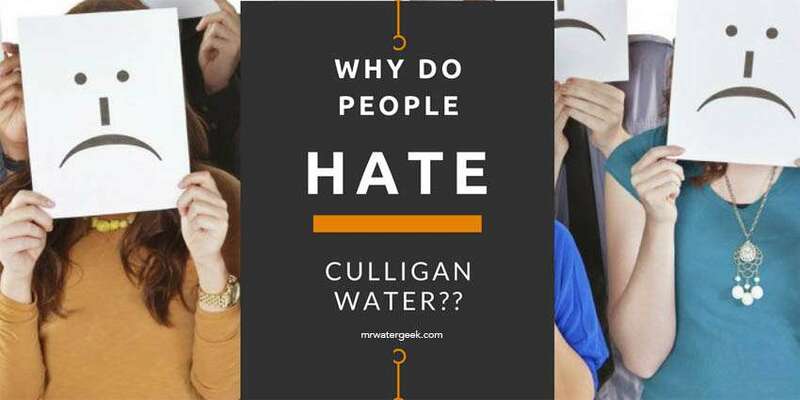 Especially as this is resistant to chlorine treatment from your water company. UV water treatment systems may be the best way to kill bacteria, viruses and other microorganisms in water. As this type of water purifier does not use chemicals or produce byproducts: they are safe, reliable and extremely economical. 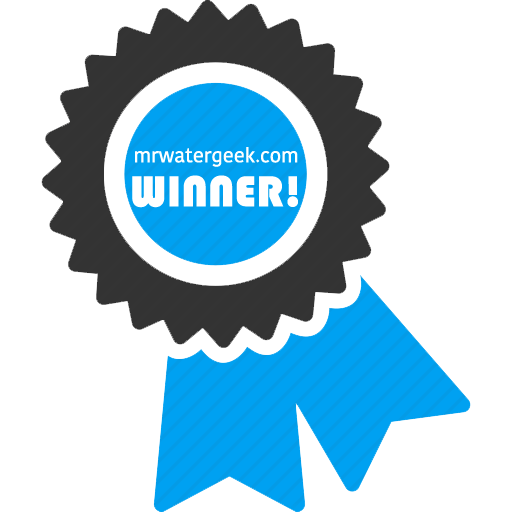 The best stand-a-lone domestic UV water filter is the HQUA-TWS. However, if you’re getting a whole house water filter then you should get one from Aquasana and then OptimH20. 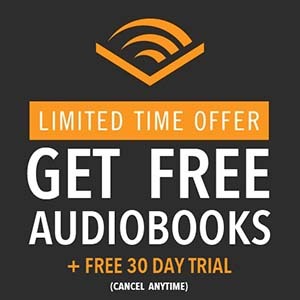 They are usually very expensive so add coupon code AQGEEK50 to get up to 50% OFF your purchase. 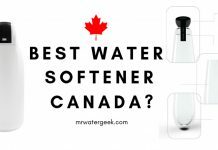 Next articleIs This REALLY The Best Salt Tablets For Water Softener? 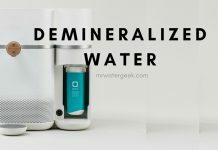 The BEST Reverse Osmosis Unit COMPARED: Must Read! 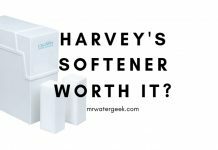 Hydrotech Water Softener: Is It WORTH The Cost?